There’s finally an explanation as to why nothing was done to keep the Tug Tilly from sinking. A lot has been said and written about the Tug Tilly: the controversial sale of a 150-ton scrapyard-ready tugboat to a homeless man, its subsequent floundering while abandoned two miles south of Key West about a month ago, the hundreds of gallons of engine oil spilled into the ocean and the enormous looming wreck removal costs. And with that, the half- million dollar question: Why, since everyone knew this was going to happen, why-oh-why, was nothing done to prevent this catastrophe? Isn’t the county government in charge of derelict vessels? Hasn’t Monroe County, for years, been paying for the removal of derelict vessels, including over $ 100,000 for the “Pair-O-Dice” alone? [Pair-O-Dice was a casino boat aground in Key West harbor in 2009 when it was seized as a derelict vessel and destroyed at county expense). 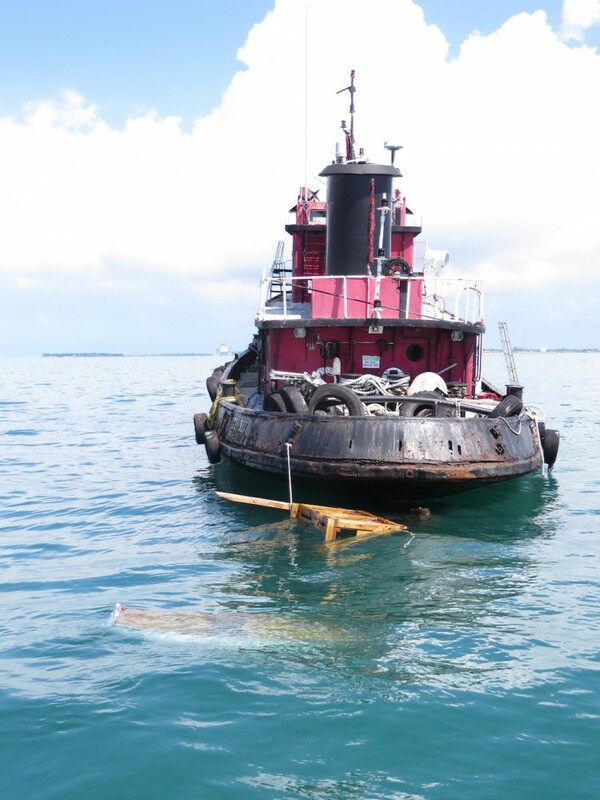 The county receives nearly $ 650,000 a year in funds from boater registration fees that are to be used for, among other things, the prevention and removal of derelict vessels. But in view of the Tilly’s wreck removal price tag commissioners decided to seek a more detailed legal opinion from their attorney, Bob Shillinger. The conclusion … the county is not responsible for the removal of derelict vessels – never was – and is certainly not going to pay for the removal of the Tug Tilly. This, obviously, is excellent news for the taxpayers who worried that they would be on the hook for a half million dollars in removal costs. But it is also quite worrisome: During the BOCC meeting in Marathon last Wednesday county commissioners rejected a plan to secure boats like Tilly before they sink or run aground. The unanimous opinion was that there was no reason for the county to try to prevent such scenarios since any intervention would only create liabilities that would not otherwise accrue. Of course, there are those who believe that legal liability doesn’t always coincide with political liability and that elected officials who refuse to take charge of obvious safety and environmental issues in due time just because there is no “legal” obligation to do so are in error. Is it really the policy of Monroe County not to even attempt to have a contingency plan for the Tillys of the future? Every member of the county commission was notified on Monday February 24th of the imminent demise of the Tilly in the event it was not brought back to protected waters. The vessel sunk four days later. How many more such preventable catastrophes will be allowed to occur and to litter our shores before the county and the state decide to establish some hands-on, proactive procedures for dealing with such situations? The fact remains: officials knew the Tilly was going to sink, could have easily caused the vessel to be secured, but chose to do nothing.